The rumor mill online has already started in full swing with the new Shelby Mustang GT500, with released images and spy shots. 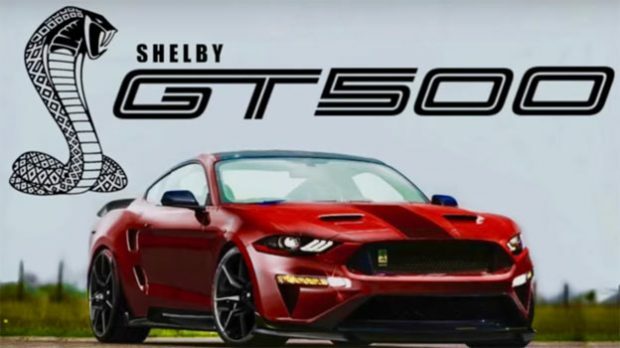 It’s expected that the new Shelby GT500 will have a more aggressive look than previous versions, with a plentiful supply of carbon fibre to its body parts, especially on the front splitter and rear spoiler. From the initial images it looks also like there will be upgraded bumpers, head and tail lights, along with wider tires and bigger brakes. The powertrain may follow the GT350 Voodoo 5.2-liter V8 engine or a possible 5 L eco-boost V8 from the soon-to-be-released 2018 Ford Raptor. This should be equate up to around 750 HP. Check out the two videos below for the latest news and updates.